The fact that there are over 100 different types of kimchi should tell you something about the pride Koreans have in their food. But that doesn’t mean you can find something simple yet nutritious and delicious. Enter SURA Stone Bowl Bulgogi Bibim-bap, a.k.a 불고기 돌솥밥. This Korean all-in-a-bowl mixes together a simple salad of rice, mixed vegetables, rice, and bulgogi (Korean grilled beef), with sesame oil and if you’d choose, a dollop of chili paste for seasoning. Although Korean kings from yesteryear would probably be shocked at how the royal dish has become so ingrained into the palate of the masses, we love how cheaply and quickly we can devour our favourite any time. As well as the most authentic Korean BBQ, this simple yet delicious dish will light up your taste buds like no other. Visit SURA Korean BBQ Richmond today and a team of professional staff at SURA will work with you to ensure that every detail of your dining-out experience meets your expectations. 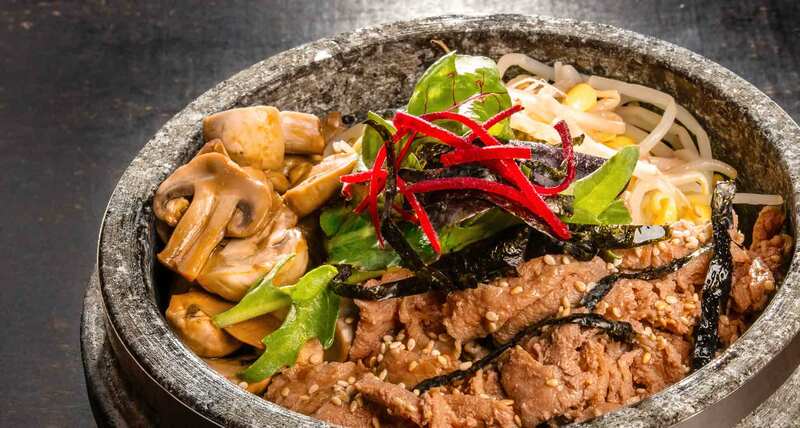 Click HERE to view mouthwatering SURA Stone Bowl Bulgogi Bibim-bap on our awesome menu.